Today is a bad day ... it was one of the hottest days yesterday and I don't do well with heat ... I'm tired, have a sore head and I think I'm very dehydrated ... the paracetamol I took hasn't kicked in yet. However I'm trying to keep positive and ignore the fact it feels like someone is pounding on the right side of my head with a hammer. 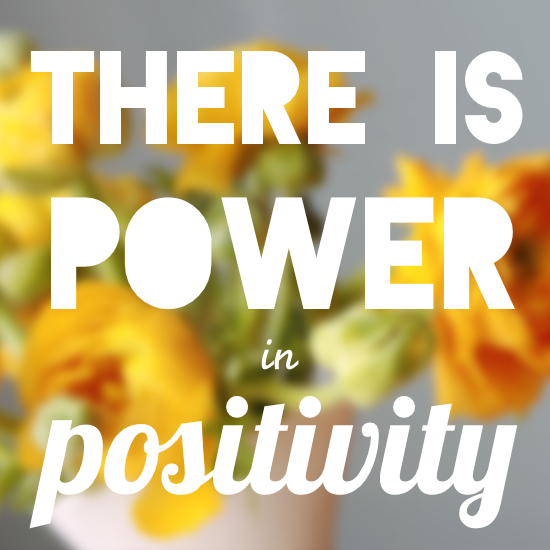 I found a new blog earlier today and found a very interesting tag: The Positivity Tag. The blog is question is called: Room With a Bloom and is written by the lovely Megan - you can find her blog HERE. 1. Name three things in your life that make you feel happy and positive. My boyfriend: Dave - just his simple company and him being there is enough to make me happy and positive. My blog because of all the people I've met and all the blogs I read everyday! My work (and no I'm not joking) I actually do enjoy my work - I might complain and moan but I still enjoy it and it makes me feel happy to know I'm doing a good job at the end of the day. There are different things I do ... I try and smile when possible as they say smiling is contagious. I also (even if I'm not feeling positive) try and radiate positivity - that way people around me don't feel negative - if I'm in a bad mood (normally because I'm hungry - nothing serious lol). Surrounding myself with positive people has also helped me. Negative people just bring you down. 3. What do you like to do to relax? Swimming really helps me (not that I'm overly stressed or anything) but its lovely to just swim at your own pace and let your mind wander and think about random odd things. Walking is another good thing - but only when I'm in the right mood for that. If you can't see the image it says: 'The best way to cheer yourself up is to try to cheer somebody else up' - Mark Twain. It's a very true and real quote and I know this because I've done/felt this myself. 5. Everybody has a part of their body they dislike. 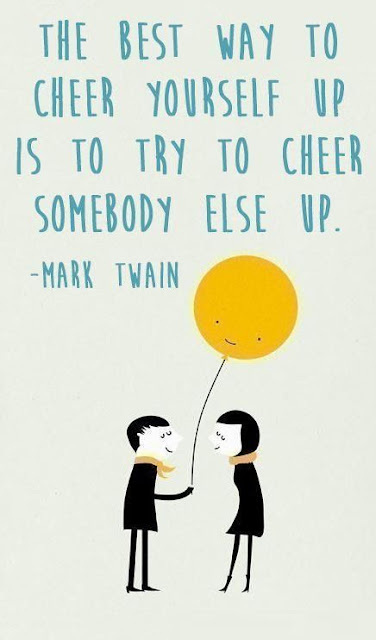 Say something positive about yours. Similar to Megan's answer - I really don't like my stomach - not that there is anything wrong with it - I just eat lots of junk food. But I suppose that is something I need to address and cut out my diet. I always see this question on Twitter chats or on other people's blogs but I've never really given it much thought. But I can't actually think of anyone that I 'look up' too. In terms of the blogging world - there are a couple of bloggers I think are great and sometimes I think 'I wanna be as successful as them in a few years time' Again in the Vlogger/YouTube world - there are a few YouTubers that I really enjoy watching and think are inspirational. These people are always so positive and happy - well most of the time. They have their off days too but that's what makes them real. Again similar to Megan - I'm not going to tag people individually (wouldn't want to leave anyone out) but if your reading this and want to give this tag a go then by all means - steal the questions and get a post together! Remember and let me know in the comments section if you do the tag and leave the link for me to read.